AsiaBits.com Review: Scam or Legit? 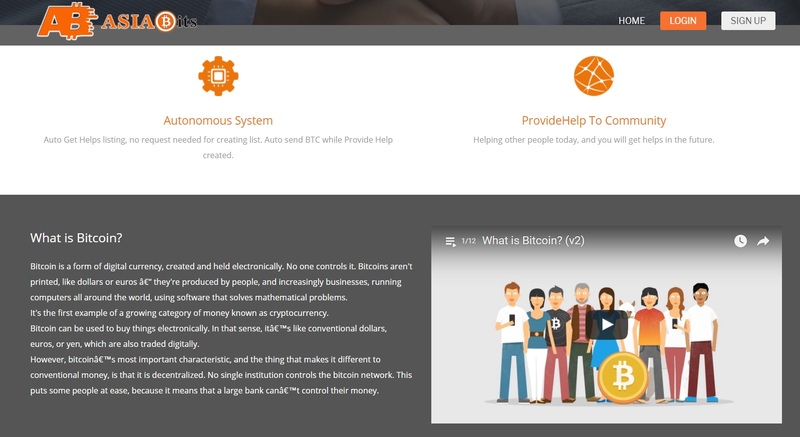 AsiaBits.com is a relatively new website offering Bitcoin mining services. The site was formally opened in October 2016 and is located in the United States though most of its operations are tailored for the massive Asian market. Being a new site, not much is known about AsiaBits.com and many people don’t know whether to trust them or not. Not to worry though, we did some fact-digging and we will tell you what we know about this service. Read on to find out whether AsiaBits.com is a scam or is actually a legit site. We’ll start with what is known about this website before looking at what’s unknown or ambiguous. Didn’t the wise folks say that there is always an answer where there seem to be none? Basically, AsiaBits.com mines bitcoins and sells them to the public at a stipulated fee. In simple terms, the site offers the general public, who probably have no knowledge or ability to mine bitcoins on their own, a chance to own and trade in the popular cryptocurrency. As it is, AsiaBits.com employs programming and investment experts to do all the heavy lifting. Never mind that the alleged experts remain faceless and anonymous. As the name subtly suggests, AsiaBits.com is primarily dedicated to the Asian market, which is quite big and lucrative, although evidence suggests that they don’t refuse applications from other parts of the world. The real owners of the site remain unknown courtesy of WHOIS. This is not exactly reassuring considering the site is relatively new and doesn’t have enough credibility yet. Opening an AsiaBits account is a simple and straightforward process that will take you about 10 minutes at most. We were pleasantly surprised to find out that the site employs some sophisticated security features for both the account registration process and actual transactions. All client data, including passwords, personal and financial information, is protected by Https security protocol. Also, when opening an account, one is required to create a slightly complex password that contains at least one numeral and special character, presumably to prevent phishing and hacking cases. You also need to provide the name of your Sponsor and your preferred currency before getting started. The sponsors are basically the people who will handle your transactions and you can either take the ones assigned automatically by the system or manually pick your favorite. To determine whether a particular site is a scam, we look at several things. One of them is online ratings. We searched through a lot of online forums and did not find any negative reviews or complaints about AsiaBits.com so we can only assume that the public is satisfied with the site’s services. Nonetheless, AsiaBits has no active social media accounts – their Facebook account was either deactivated or banned as it is no longer accessible and there is no trace of the company on Twitter. Red flag right there! Basically, the available information about AsiaBits.com is too little and too ambiguous to give a clear answer on whether the website is a scam or not. This however does not mean that it isn’t a scam. It seems that AsiaBits is one of these “community help” type frauds. We suggest you stay away from this site until it is proven safe beyond all doubt. If you have been scammed by AsiaBits or if you have any feedback, please leave a comment below. To receive additional scam warnings from us directly to your inbox, please subscribe to ScamBitcoin.com TODAY!